Whether you are a recruiter, job seeker or compensation professional, you will at some point need access to quality pay data so that you can quickly find the average rate of pay for a particular job. Fortunately, there are a range of good quality salary calculators on the web which enable you to do this and we have summarized these for you. Free Job Search Help from Recruiter.com – Need a higher salary? Make sure you know the key best practices for a successful and discreet job hunt. 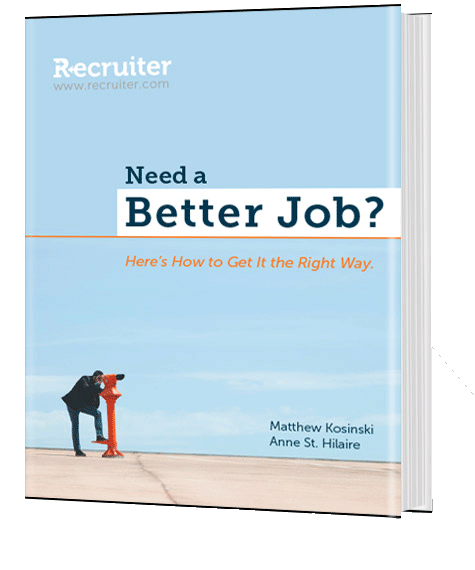 Download our free eBook: Need a Better Job? Here’s how to get one the right way and land a better paying job! This is one of the most powerful free salary calculators on the market and is suitable for use for employees, recruiters and reward professionals. This is because it allows you to calculate salary based on multiple criteria, including job title, country, state, city, years of experience, qualifications and much more. This means that it will provide a far more reliable average salary figure which make makes it a stronger salary negotiation tool. This is a direct competitor to Payscale and shares many similarities, making it suitable for use by job-seekers, recruiters and reward professionals. Like payscale, it offers an analysis based on multiple criteria, including, country job title, job description/grade and state. In addition, it offers three premium salary reports that need to be paid for. These reports allow for greater personalization which means that the salary figure will be more reliable and a stronger negotiation tool. Careerbuilder.com provide a free salary calculator on their site which is suitable for job seekers and HR professionals. It is powered by Salaryexpert.com and so offers the same functionality. This is another excellent salary calculator suitable for all types of users. It enables you to assess your worth based on multiple criteria, including state, job title, and job grade, providing a reliable average salary calculation. This is powered by salary.com so offers similar levels of functionality and reliability. However, monster offer an additional premium tool, which provides a more personalized analysis, that will produce a more robust and reliable salary calculation – rendering it a much more powerful negotiating tool. This calculator offers similar functionality to Payscale, but has a medium size rather than large database , so the data is arguably not as robust as some of the other players on the market, such Payscale. This is a relocation planning site and one of the tools happens to be a salary calculator. It also has other useful analysis such as City Reports and School Reports. Like the other salary calculators you can use multiple criteria including job title, grade and location to create your salary report. With over 50,000,000 jobs worth of data, the indeed salary calculator is based on a large and robust data set, meaning that reports are very credible. The salary reports provides an analysis of average salary based on grade and common variations of a particular role, e.g. cost accountant, fund accountant, AR Accountant. This is powered by Indeed and offers similar functionality, listing the salaries of a large amount of professions and trades. Powered by Salary.com, this salary search offers similar functionality, and can be used for jobseekers, and HR professionals alike. While all of these online salary calculators are suitable for job-seekers and HR professionals, Payscale and Salary Expert are two of the more robust tools that may provide functionality suited to Human Resources departments looking to determine detailed corporate salary levels.